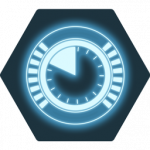 Temporal Gateways is an upgrade available at the Research tech tree of the Dark Matter Institute. Temporal Gateways does not influence the amount of time scientists spend travelling to and from planets in the Planetary Research section. This page was last edited on 30 January 2018, at 11:22.